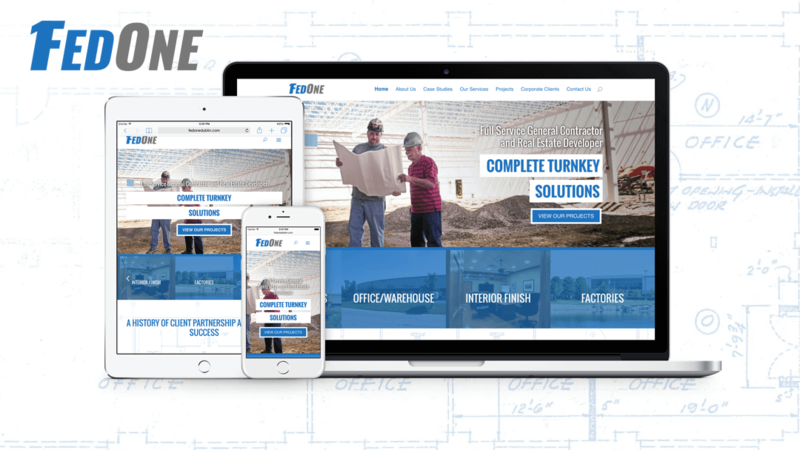 Full service general contractor and real estate developer Fed One Dublin sought an aesthetically attractive website capable of scaling across multiple devices. This included easy navigation and fast load time, providing visitors a good user experience. In addition to achieving these goals, Chepri® represented their factory, big box warehouse, industrial park, and office/warehouse projects with an appealing functionality displaying updated photography. The Fed One Dublin site confidently represented their abilities, professionalism, expertise, and years of experience.